Flashing single LED light under reflector lens. 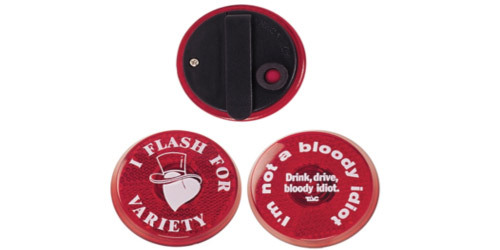 Powered by 2 button cell batteries, light flashes red through red casing with up to 36 hours continual use. On/off button and pocket clip.